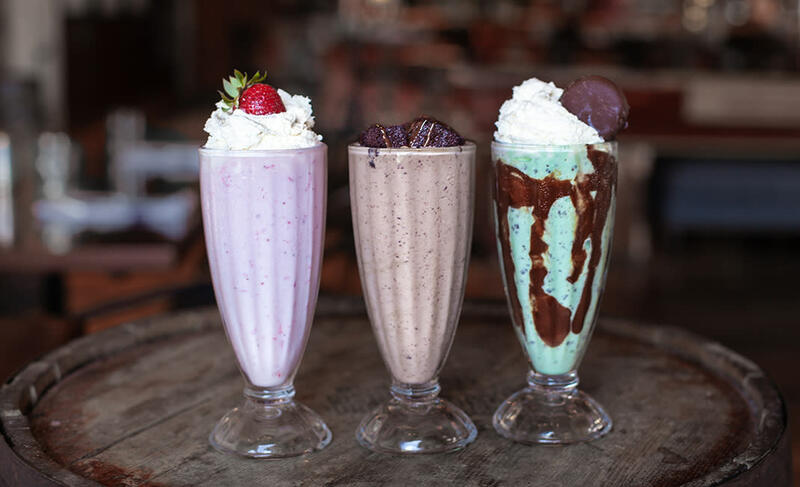 Ice cold, creamy milkshakes – for some they conjure memories of soda fountains and ice cream parlors; for others, a summertime treat or a sidekick to burgers and fries. While this childhood favorite is rooted in nostalgia, it’s taken a decidedly modern twist in the form of grown-up milkshakes spiked with alcohol. Can’t decide between a milkshake or an adult beverage with your juicy burger? You can have both at Cold Beers & Cheeseburgers. 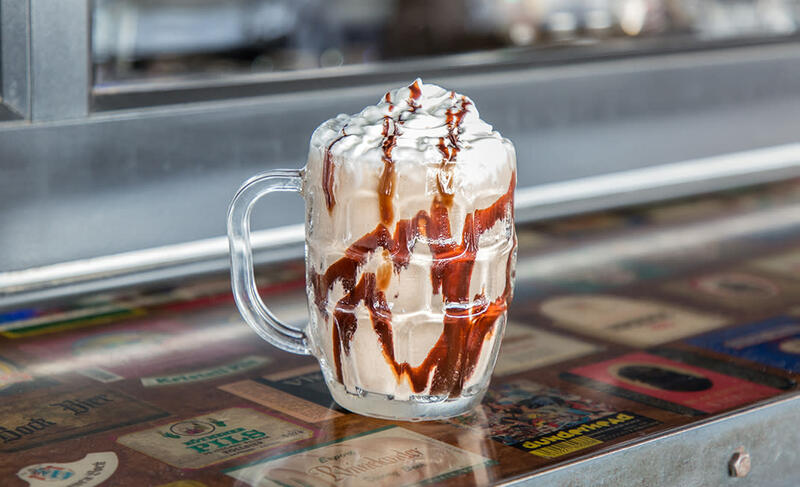 Choose from four options that arrive in faceted beer mugs capped with whipped cream, such as a Mudslide jazzed up with shots of vanilla vodka, Kahlua and Baileys Irish Cream. For a minty refresher, visit Bourbon & Bones for cocktail expert Richie Moe’s creation. 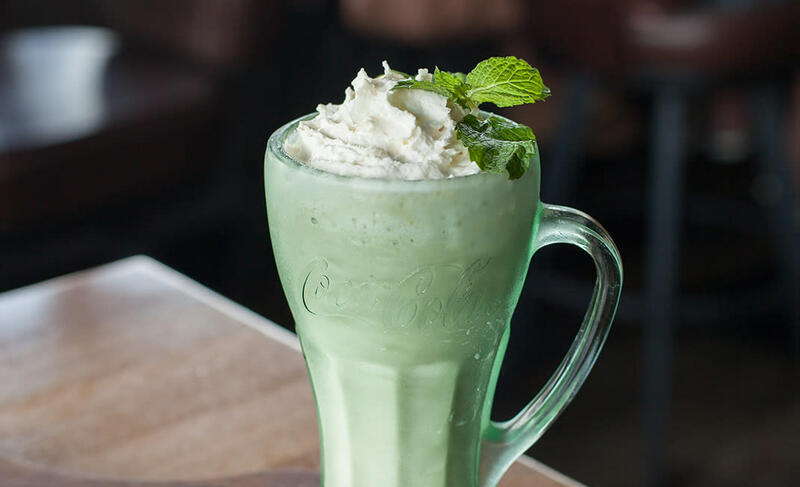 Vanilla ice cream, Coke, fudge and Fernet Menta (an Italian peppermint liqueur) are smoothly blended and garnished with crème de menthe whipped cream for a frosty that makes for dangerously easy sipping. The five decadent shakes at Proof at the Four Seasons showcase homemade ice cream. Take them a step further by adding your favorite liquor from a range of artisanal spirits, such as the Strawberry Blast punched up with St. George basil eau de vie for a strawberry-basil indulgence. Treat your designated driver to a Showstopper Shake at ZuZu at Hotel Valley Ho. 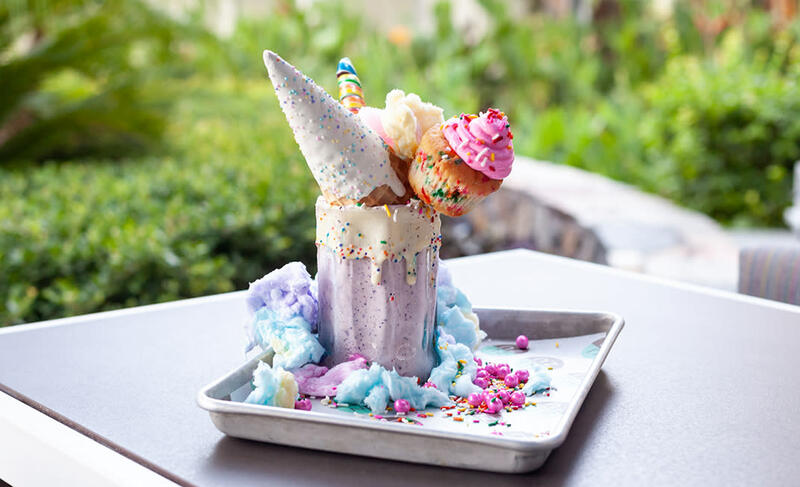 Flavors rotate monthly and include delights like the whimsical Unicorn, a berry milkshake crowned with a Funfetti cupcake, homemade marshmallow braid, cotton candy, and a white chocolate-dipped waffle cone. Taking Lyft? You can order your Showstopper spiked, too! With our year-round warm weather and 330 days of sunshine, Scottsdale is the perfect city to enjoy these sweet and boozy treats.